It has been a few years since my father-in-law passed away, but I remember that he always enjoyed the holiday season. If there was anything that he looked forward to at holiday parties, it was a good cup of punch. He loved punch! A combination of fruit and Sprite® was like heaven in a cup. Although he is no longer here to celebrate the holidays with us, my husband and I still carry on the tradition of enjoying holiday punch. 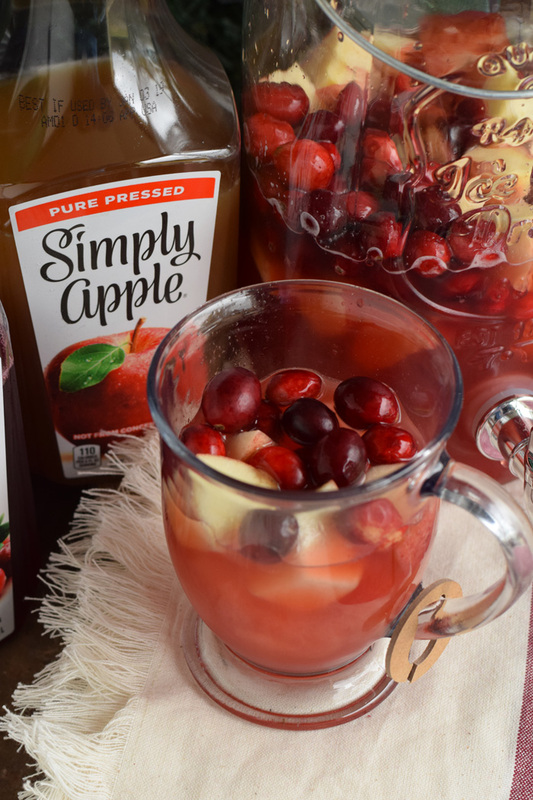 We sometimes experiment with different combos, but our preference for the holiday season is this Cranberry Apple Punch. With its festive colors and tart flavor, it is a crowd favorite at holiday gatherings! A tasty punch is only as good as its ingredients. 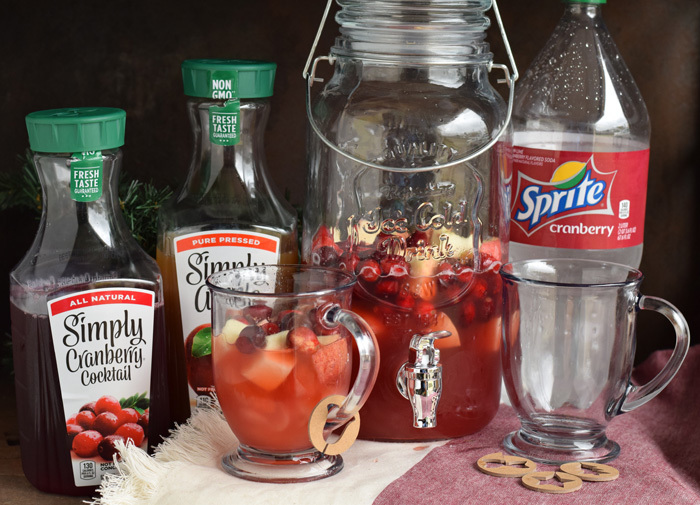 Sprite® is known for adding fizz to punch recipes, but Sprite® Cranberry includes the merriest of berries for this time of the year. 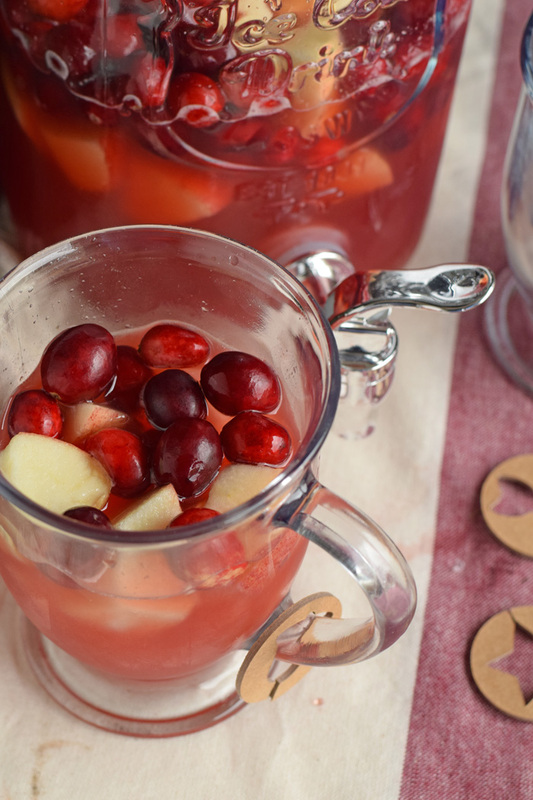 It is my favorite soda to add to this Cranberry Apple Punch. It is easy to add to this festive holiday beverage. Find it at your local Kroger in the soda aisle. 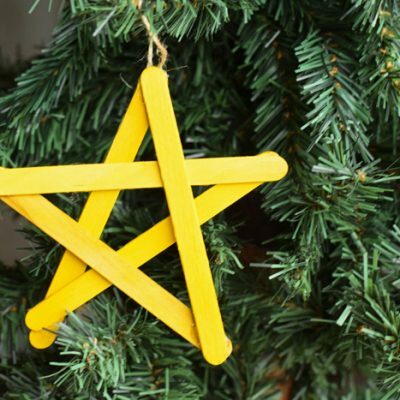 Coca-Cola® and Kroger make holiday parties brighter! 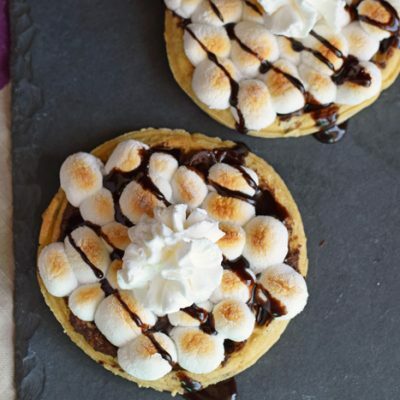 Pick up all ingredients to make this recipe and all your other holiday recipe favorites at Kroger. Find more holiday inspiration on the Coca-Cola® Kroger Advent Calendar for a new piece of content every day in December. 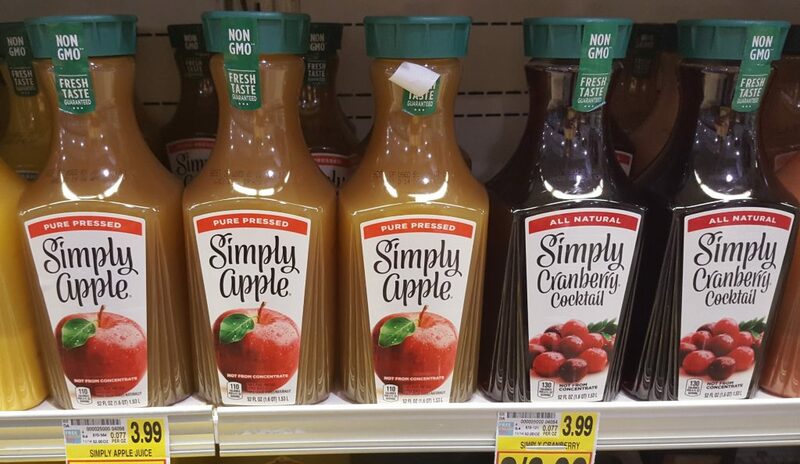 The Simply® 100% Apple Juice and Simply® Cranberry Cocktail are included in the refrigerated section of your local Kroger, so these items will already be cold. 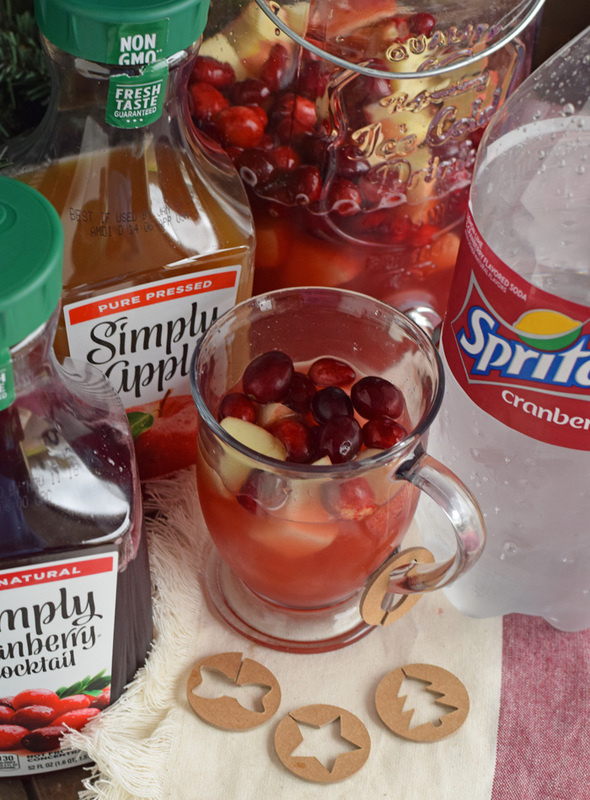 Be sure to chill the Sprite® Cranberry, cranberries, and apple pieces prior to making this easy Cranberry Apple Punch recipe for the holidays. This recipe can be made a few hours in advance. 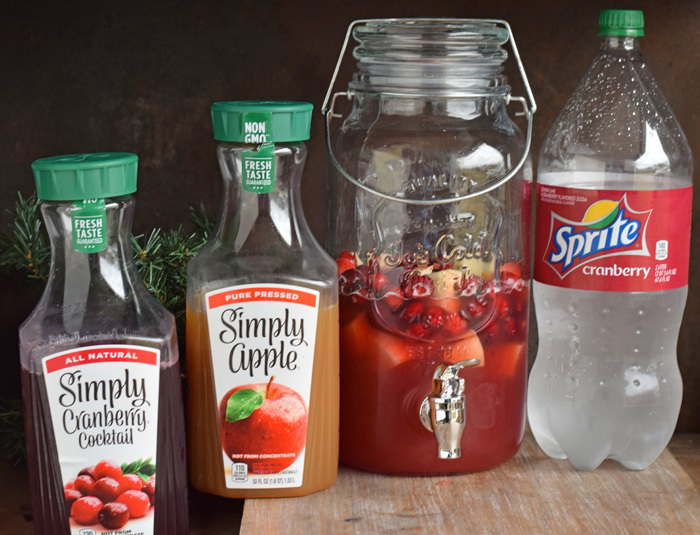 In a punch bowl, pitcher, or small beverage dispenser, add 2 cups Simply® 100% Apple Juice and 2 cups Simply® Cranberry Cocktail. Stir to combine. Add cranberries and apple pieces. There is no exact measurement of cranberries and apple pieces. 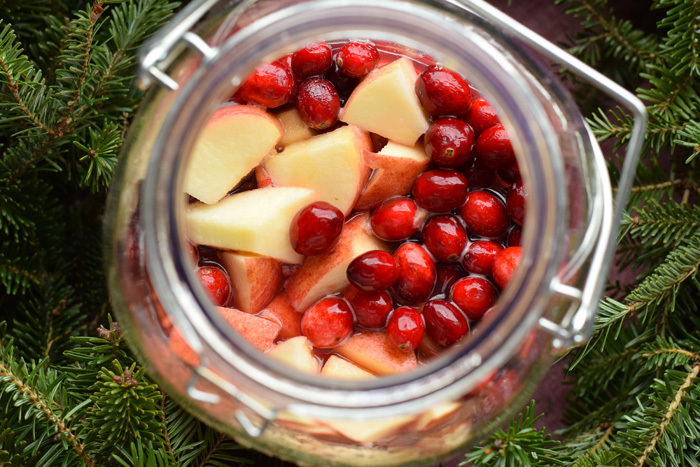 Include what looks festive in the container. If not serving right away, place the beverage dispenser or pitcher in the refrigerator. 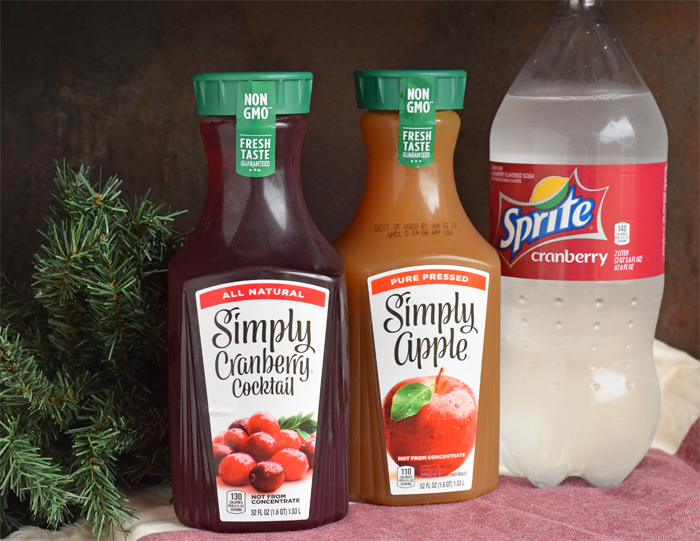 When ready to serve, add 2 cups of Sprite® Cranberry. Stir to combine. While your ingredients may be chilled, you can also serve the punch over ice cubes. Do you use your festive or fancy punch cups when entertaining at the holidays? 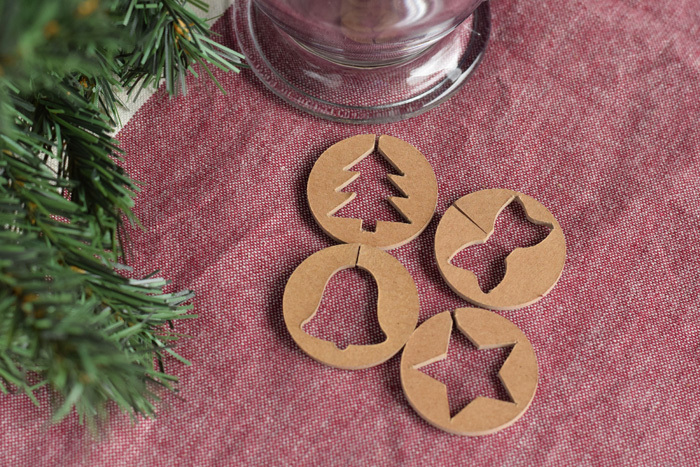 Help guests keep track of their punch cup with one of these Punch Cup Markers, made with chipboard and your craft machine. 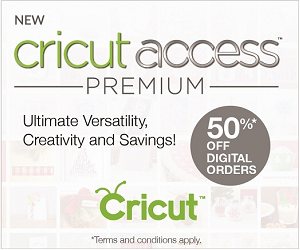 Find my designs and Cricut Design Space cut file for these punch markers here. Place the chipboard on the cutting mat. 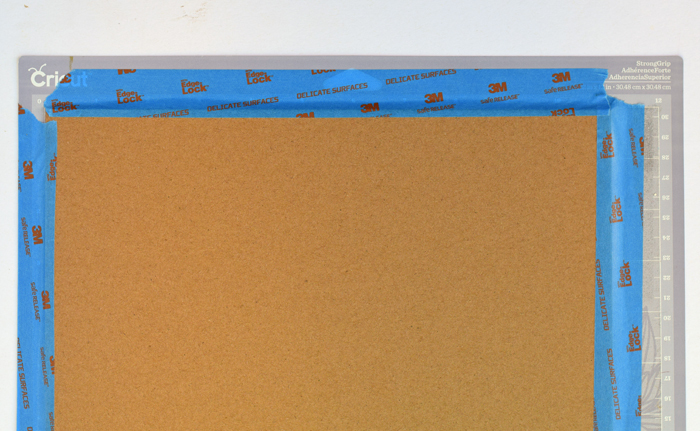 Use the masking tape around the chipboard to secure the chipboard to the mat. 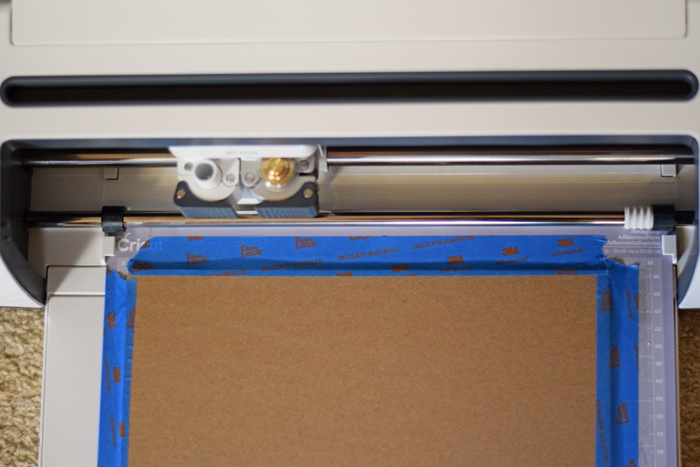 Send the images to the cutting machine. Once the machine has finished cutting, the punch cup markers are ready for use! 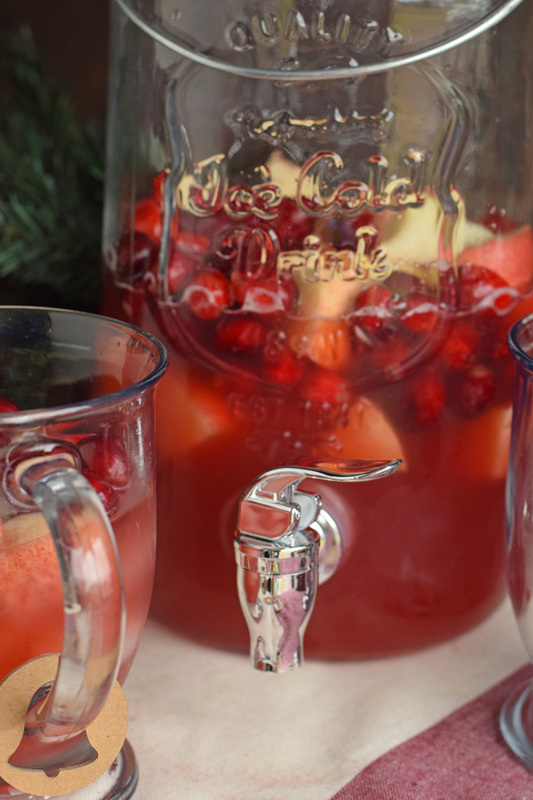 What is your go-to punch recipe for the holiday season? Check out the Coca-Cola Holiday Inspiration! Yes please! I could use a drink like this. I need to make this during the holidays for sure. I love this sprite. 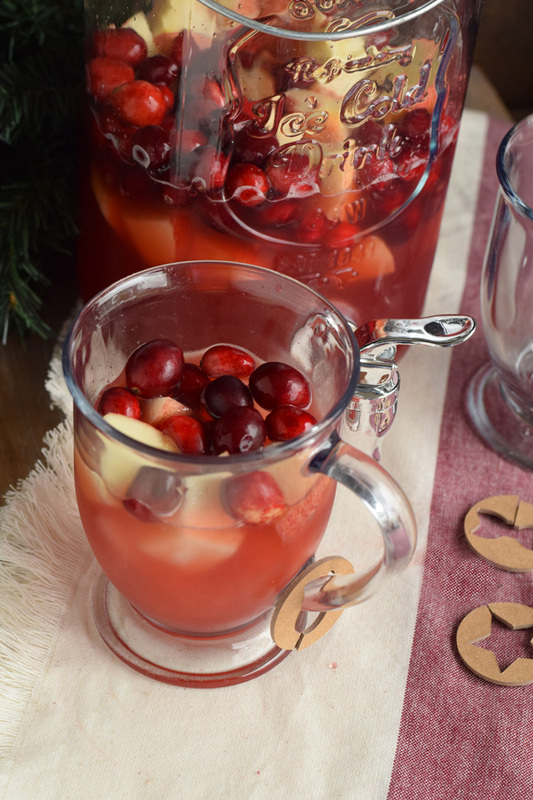 I LOVE a great cranberry drink during the holiday season! It makes this time of the year fun. I also love your punch cup markers. They are small and cute, yet big enough to to be seen at a party. We have some wine charms and they’re perfect for helping avoid the dreaded drink mix-up. 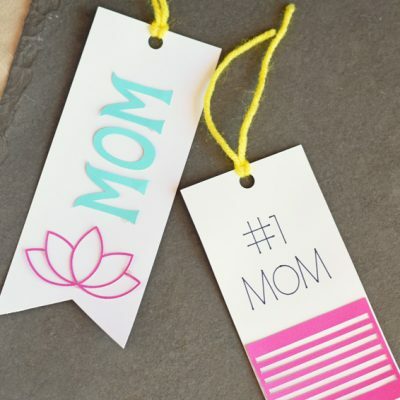 These drink markers would be ideal for large parties since I only have about a dozen on so wine charms. Oh my this looks good. 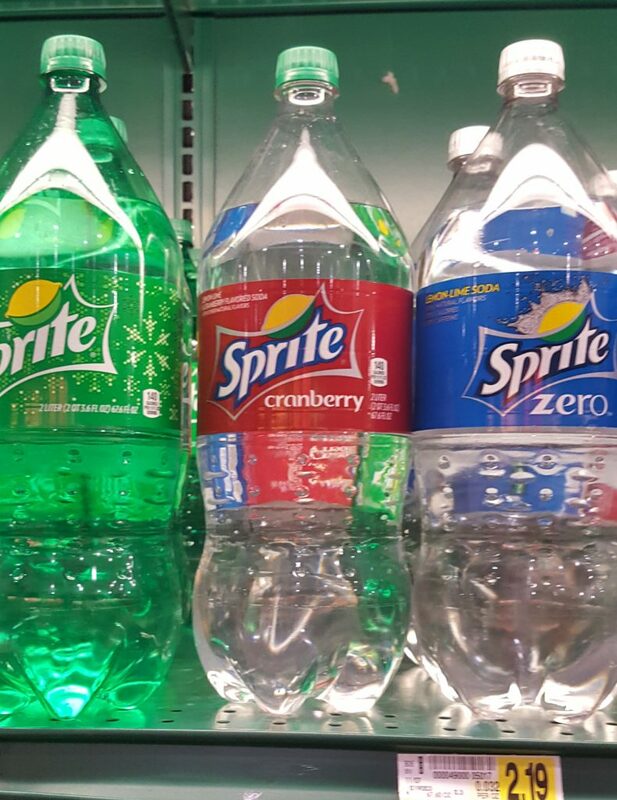 I didn’t know that Sprite came in cranberry flavor. I wonder if this would be good warm? The cup markers are genius!! Those are cute little markers. That a great way to keep everything festive and keep everyone’s glass where it belongs. I love Sprite Cranberry so much! I drink it on its own, but it is divine in any cocktail that has Sprite as its base. I cannot wait to go to the store and get some! This punch recipe looks so refreshing. 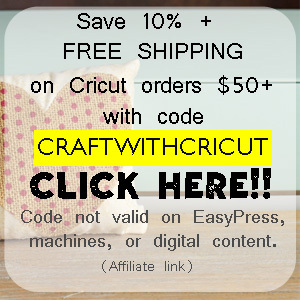 Love the craft as well. Looking forward to making this for my next family gathering. Now this sounds like an amazing punch for Christmas! I bet the mix of flavours really bring in the idea of this time of year. 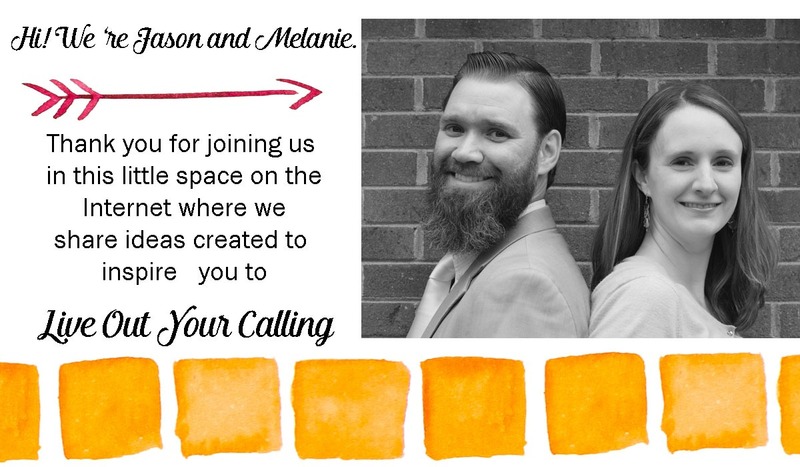 What a fun and smart idea! And this punch looks so good. Definitely a must try. We have punch every year! We make green punch for the kids and they call it Grinch punch. Now we can make something different for the adults! Looks amazing! Holiday traditions are such a blessing. 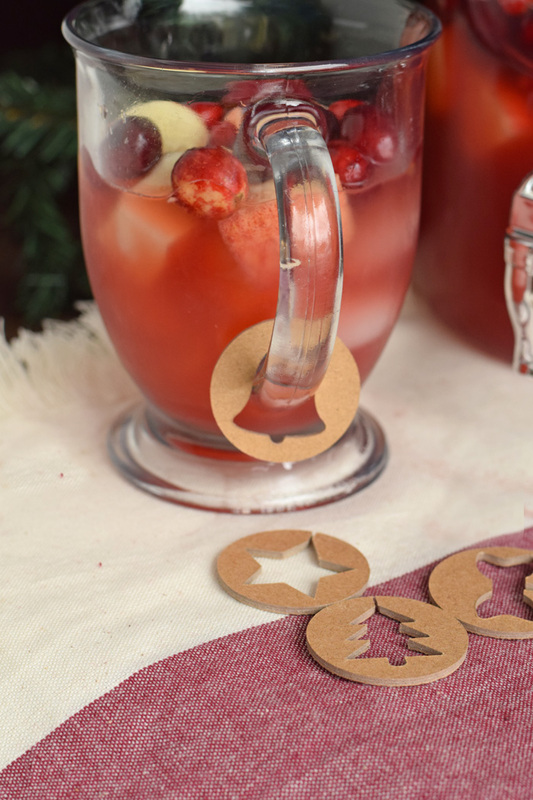 I agree with a good punch for the holidays! I may have to try this particular blend for our family Christmas party. 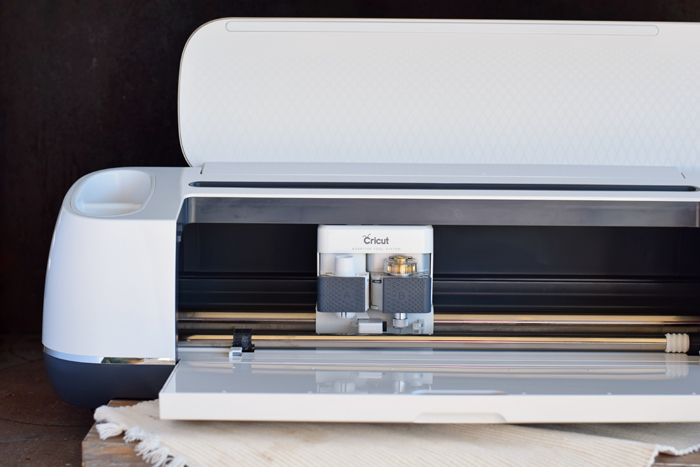 I have been thinking of getting a cricut for so long now. Now I really need to make this too. I love a great drink! I’ve never heard of Sprite cranberry, but it sounds yummy! My daughter would love this recipe, it would be fun to make this together. Sounds delicious and it’s so pretty too! I am actually hosting a holiday party with my friends next week and I don’t have a signature drink! I’ll have to make this punch. What a delicious and festive drink for the holiday season! I’d love to make this punch for an upcoming gathering. Punch makes the table so pretty and festive. Love this version that the kids can have as well!